The load capacity of a single unit up to 3840x1080 @ 60hz, which is able to meet the on-site requirements of large led screens. Mctrl r5 makes it easy to create stunning visual rotation effects for users. The cmtrl r5 can also be used as two independent full hd controllers, which makes it more flexible to load led screens. 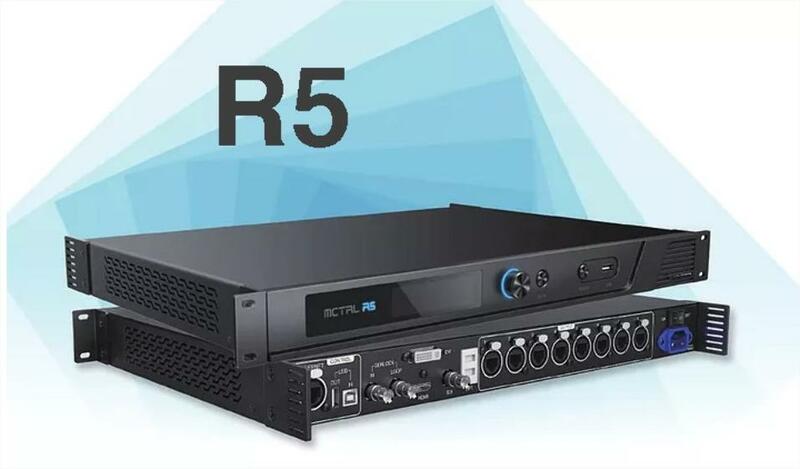 The mctrl r5 design is innovative. It allows to configure a screen at any time without pc. Several video inputs like hdmi, dvi double link, sdi, etc. And outputs of 8-channel neutrik gigabit ethernet ports, as well as 2-channel optics fiber ports are compatible.